Wines have become a big part of our lives and there are numerous local Indian wine producers that have some excellent wines for us to choose from. It’s quite common for us nowadays to take a bottle of wine as a gift when we attend dinner parties and to offer our guests wine when we’re hosting an evening ourselves. It’s therefore a good thing to know which are the better wines that are available today so you know you have the good stuff at hand always or at least know which ones to pick up when you’re out shopping. Red wine is made by crushing dark coloured grapes and then fermenting the juice derived after crushing. There are many varieties of red wine and the most commonly known ones are Cabernet sauvignon, Pinot noir, Merlot, Shiraz and Zinfandel. The alcohol content in most red wines is around 12 -14%. There is a widely held belief that the high levels of antioxidants in red wine makes consumption of red wine in moderate amounts on a regular basis actually good for health. And when a healthy promoting beverage tastes so good who are we to question that?! 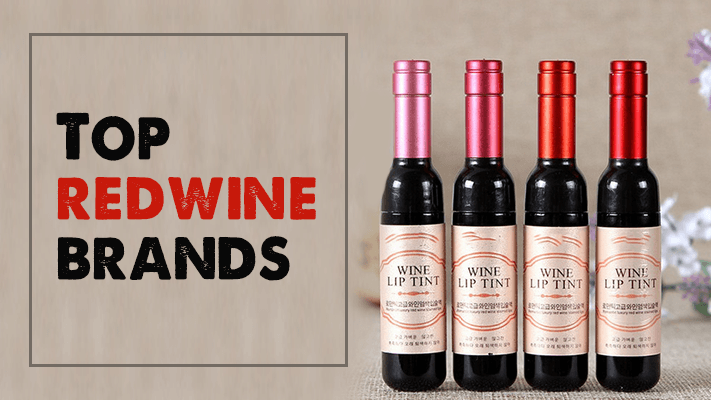 Here’s a selection of the 10 best Indian Red Wine brands of 2018 that are not only delightful to drink but also good for skin & health. A full bodied red that will delight the palate, the Fratelli Sette is a blend of Sangiovese, Cabernet Franc, and Cabernet Sauvignon grapes. The best 1% grapes at the Fratelli vineyards go into making this one so you can be sure you’re buying something special in this bottle. The Sette wines also carry refined notes of wood with vanilla, silky tannins and have a wonderful finish. 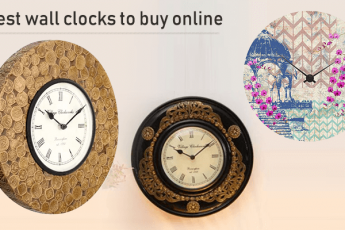 This one retails at Rs 1,800 in Delhi. Read more about this lovely wine here. This award winning red wine from the Grover Zampa label is aged for at least 15 months in French Oak barrels that give it a certain distinct flavour. The top notes of blackberry, currant, and ripe plums are followed with a hints of spices, vanilla and roasted coffee beans. This wine is a signature blend of Tempranillo and Shiraz grapes and is one of the bestselling reds from Grover Zampa, priced at Rs 1,800. The Sula Vineyards label is one of the oldest on the Indian domestic wines scene and it has some lovely wines. Among the reds the Sula Dindori Reserve Shiraz is a little gem. It pairs very well with Indian foods and flavours and is perfect for a Sunday biryani and wine brunch. The grapes for this wine are grown on the Sula Dindori estate and the wine is infused with the flavours of vanilla and berries and is finished in oak barrels for a strong intense finish. Priced at Rs 1,100 for 750ml the Sula Dindori Reserve Shiraz is easy on the pocket and magic on the palate. Serve this merlot chilled and enjoy the scent of dark cherries, plums and berries with cocoa and black pepper. This wine is medium bodied, slightly dry thanks to the soft tannins. Pair it with grilled meats, grilled veg, pastas and many of the lighter Indian dishes that aren’t too heavy on the spices. This wine is perfect for a lazy lunch with light bites and plenty of friends. At Rs 725 a bottle it’s pretty easy on the pocket too. 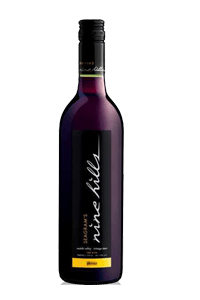 A very affordable red wine, the Seagram’s Nine Hills red has top notes of vanilla with fruity notes from cherries and strawberries adding to the experience. 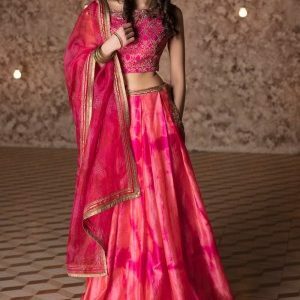 It pairs quite well with Indian foods and you can serve it chilled along with desi flavoured fried snacks as pass arounds at your next party. A very popular red, the Four Seasons Barrique Reserve Cabernet Sauvignon brings rich fruity berries and soft tannins together with vanilla, spices and black currants. Chill to between 18-20C and enjoy this beautiful red with an aged cheese and a platter of ham, or roasted vegetables. Like most robust red wines this one also pairs well with Indian foods and will be a perfect at a desi dinner party too. 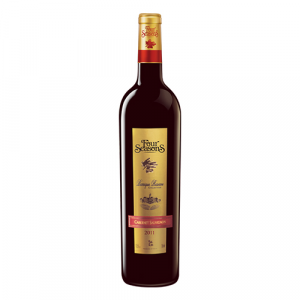 A ruby red, rich dark wine the Chateau d’Ori Cabernet Merlot is slightly dry red wine with medium acidity and concentrated fruity flavours of cherry, blackberry, fig, black currant with notes of vanilla, cedar, and leather. This one has a strong personality and works really well with robust Indian flavoured dishes like rich curries and smoky barbecues. This Bordeaux style wine combines the strong tannins of the Cabernet grapes with the softer tannins of the Merlot to produce a deep aromatic wine. 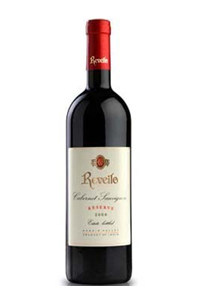 A boisterous fruity red, the Reveilo Cabernet Sauvignon Reserve with hints of warm spices like pepper, nutmeg and cinnamon seems made for the Indian palate. 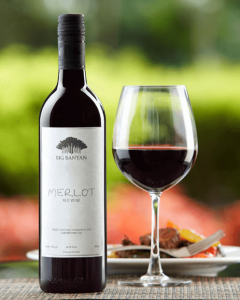 This dark fruity wine with its medley of spices suits the Indian palate and it’s no surprise that one is a popular choice among the Indian red wines. Made with Sauvignon grapes this wine goes well with lamb and other red meats and with medium spicy Indian fare and tandoori dishes too. From the Nandi Valley region near Bangalore, Karnataka, SDU Winery has some brilliant wines and among them is a particularly attractive Cabernet Sauvignon for red wine aficionados. Take a bottle of this baby to a party and you’re sure to be invited again and again. 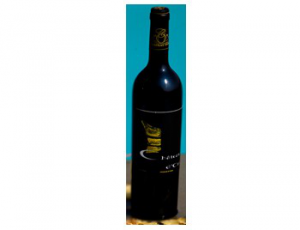 The wine has strong notes of toffee, tobacco and dark fruits and soft tannins for a smooth finish. The stunning ruby colour makes for a beautiful glass of wine that could be a fashion accessory! Fork out just Rs. 700 for a bottle. 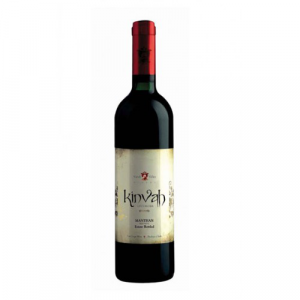 The Kinvah Manthan is a blend of premium grape varieties with a rich taste and delicate, elegant aroma. The deep ruby wine is sweet and fruity and is best served chilled to 16-18C. Let the wine breathe for a while before serving to get the best of this beautiful wine. Now that you have the best red wine brands in India all listed together make your shopping list and build up your collection.